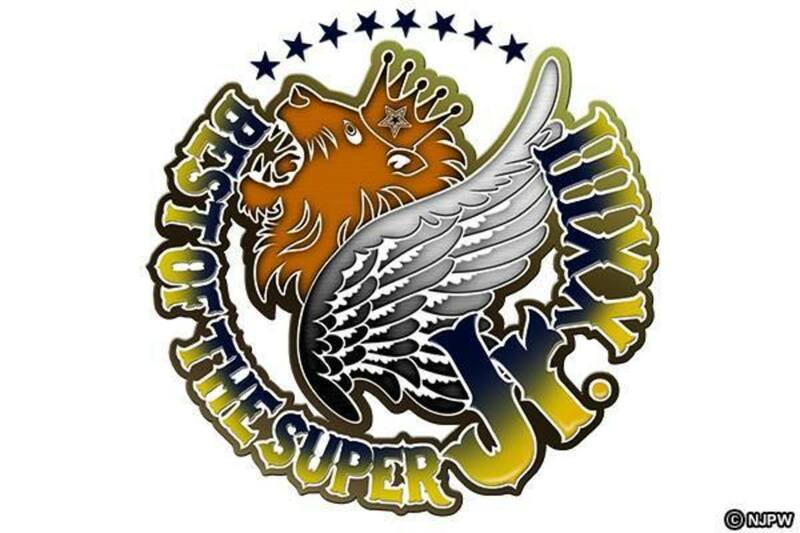 Here we are, one day before the Best of the Super Juniors winner is determined. A lot of questions still remain, the most important one being...who will win their block? We'll find out tonight as we're live in Sendai featuring action in both blocks. Quick match, but fine while it lasted. Liger was the latest example of the New Japan dopey babyface falling for a handshake. It’s funny how no one ever learns. Baretta kicked out of a Liger bomb at one point. They had some solid back and forth while it lasted, with Baretta getting the win with the Dudebuster. Another good back and forth match. Fish is good at striking, Tiger Mask does well with it too and the two meshed pretty well here. Tiger Mask kicked out a falcon arrow but Fish sinked in the leg lock for the submission. Yujiro accompanied Owens to ringside, and sure enough interfered freely throughout the match. Ricochet finally did a great senton dive to the floor that wiped him out. Ricochet busted out a Regalplex and a 450 splash but Yujiro pulled out Tiger Hattori out of the ring. Hattori sent him to the back as Owens got a rollup attempt out of the way. Owens introduced a chair, Ricochet grabbed it but as the ref was taking it away from him Owens pulled something out of his trunks and hit Ricochet for another nearfall. Owens kicked out a benadryller and a brainbuster. Ricochet went to the top rope but Yujiro came out and distracted again. He wiped out Yujiro and went for a phoenix splash but Owens countered, rolled him up with the O’Connor roll and with Yujiro’s help pinned Ricochet to put him out of the tournament. This was really fun. Will Ospreay vs. Volador Jr. The winner here goes to the finals tomorrow. This is actually really spectacular booking as they’ve been teasing the match between these two since the start of the tour. Lots of great high flying moves from both guys. Volador wiped out Ospreay on the outside with an asai moonsault; Ospreay hopped over Volador, flipped and hit a great looking DDT for a near fall. Great match with a really awesome finish. Volador went for the Spanish fly but Ospreay landed on his feet, jumped to the middle rope and hit the springboard stunner for the win. Will Ospreay wins the B Block and advances to the finals tomorrow. Naito fist bumped with Steve Corino before the match. He then focused his attention to Milano, who pretended to read his notes when Okada jumped him. Wild brawl out of the ring to start. Everyone you’d think that would work together did. Really good match, one of the better ones they’ve had on this tour. Some really great, fast paced action toward the end. Yoshi-Hashi nearly falls prey to the skull end but Goto saves the match. Sanada finally gets the pinfall with a moonsault. Romero flew off with a great knee to O’Reilly after smashing his leg on the turnbuckle. O’Reilly busted out the second Regalplex of the night for a cool nearfall. Romero was planted with a brainbuster, Rocky kicked out but was immediately put in the armbar. He fought hard and managed to get to the ropes. They did a great sequence with Rocky finishing it off with a sliced bread for a close nearfall. He hits a knee strike and pins O’Reilly, putting him out of the tournament. This was really great. Good action. Sydal worked over Finlay a lot but Finally did get some offense in. Sydal caught him with a hurricanrana off the top rope and tried for a shooting star press but Finlay moved out of the way. Sydal fought back with a kick to the temple, then pinned Finlay with the shooting star press. Sydal, Kushida and Taguchi are all still alive at this point. Taguchi comes out wearing a bandana in the same style of Gedo, which of course Gedo is not a fan of. They brawl to the outside where Gedo blatantly uses the bell hammer to attack Taguchi. I guess we’re just doing ECW rules at this point in New Japan. Taguchi makes a comeback with some hip attacks, including a flying one to the outside. Taguchi goes for the rainmaker (I guess to taunt Okada, who is at ringside) but Gedo manages to dodge but gets smacked with a kick. Gedo hit the Complete Shot but when going for the Gedo clutch, Taguchi manages to reverse it, bridge Gedo and gets the win. That puts Sydal out. If Kushida wins, he advances, if not Taguchi wins. Bushi jumped Kushida early and spiked him with a DDT on the apron. After a countout tease (there’s been a LOT of these in this tournament) Kushida comes back and we have a nice back and forth contest going here. Kushida fought for the armbar but Bushi escaped, bumped the ref, misted Kushida and hit the codebreaker but Kushida kicked out after all that. A second codebreaker clinches the win for Bushi. That makes it Will Ospreay vs. Ryusuke Taguchi tomorrow in the Best of the Super Juniors final. Bushi misted the title and threw it at Kushida after the match, saying he wants the title. That’s a natural title program somewhere down the line. Lots of challengers between him, whoever wins BOTSJ and whoever wins the Super J Cup. Really good show, by the way. Lots of fun action and the evolving standings throughout added drama to a lot of the matches. The winner will face Kushida most likely on 6/19 at Osaka Jo Hall.